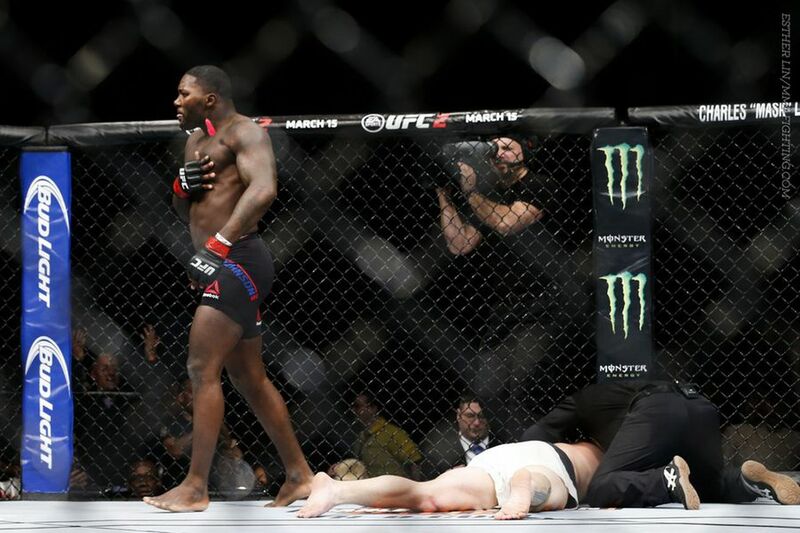 It’s like Anthony Johnson wanted to send a reminder to the world: Don’t sleep on me. We’ll never know what went through Ryan Bader’s head and made him think it was a good idea to rush straight at “Rumble” at the outset of their UFC on FOX 18 main event in Newark on Saturday night. Just like we don’t know why Alexander Gustafsson decided to trade with Johnson a year ago in this very same late-January UFC on FOX slot. The song remains the same: If you give Johnson even the slightest opening to use his ferocious punching power, he’ll make you pay, as Bader found out in less than two minutes. In a light heavyweight world which often seems to consist of Daniel Cormier, Jon Jones, and everyone else, possessing the pound-for-pound scariest pair of fists in the sport means Johnson’s going to lurk for some time to come, waiting on that second shot at a championship and knocking off anyone who dares to try to remove him from his bronze-medal spot on the podium in the meantime. Maybe “Rumble” really is working on an all-around game, a little extra something that will help him the next time someone withstands his attacks the way Cormier did in their UFC 187 bout to fill the vacant championship. That’s a hard assessment to make given he’s had 6:54 of cage time with Bader and Jimi Manuwa since the DC loss, and both fell to the power in his hands.